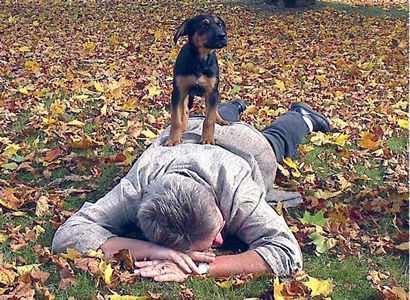 Does your pup think he's top dog? Do you want a well-behaved companion? Your dog should be part of the family. 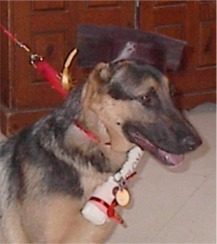 Try our "Real Life Training"
Training for real life from your dog's point of view. Living with a reactive dog. Our program for puppies sets the tone for success. Pups are never too young to learn, contact us as soon as you get your new family member home. Our private lessons are sure to give you a basic skill set to avoid many of the issues that develop as your pup matures. We use positive techniques and games to train you and your pup to be the best team possible! Learn to manage and understand your dog. We work with families and their dog friendly dogs of any age. We tailor sessions to the participants needs, children welcome and encouraged to attend. Puppy Group classes are for pups 12 weeks and older. The whole family is welcome to attend. We have a maximum number of six pups per class to make sure everyone gets one on one time. We socialize using positive techniques and games to help you and your pup be the best team possible. Problem solving tailored to the participants needs. Skype is a great tool for busy folks that are unable to make it to a lesson. Our private or group lessons for dogs with behavior issues are geared to building confidence for you and your companion. No problem is too big or small. From pulling on lead to fear of humans or dogs, or even aggression to other dogs, we teach you how to manage your four-footed companion. At Sage Dawg we offer small classes or private lessons. We use our own dogs for distraction and when you and your dog are ready we ease you into a small group class to build your confidence so that you may move on to dog sport or other types of training with renewed confidence. Perfect for working on specific issues. We help the owner and their canine companion feel comfortable in situations they may otherwise avoid.